“The kids have a lot of ideas and keep experimenting, so it’s nice,” said Ruth John, Industrial Engineering Teaching Assistant. Pontiac Schools have teamed up with SECS, which will grant class credit to some high-school age learners. Courses are split into categories of Alternative Energy, Structures, Industrial and Systems, Electrical, Computer Engineering and Computer Science. The first week spotlighted alternative energy. Under the instruction of Caymen Novak and Trey Whitehouse, children made their own batteries out of various household items, as well as miniature solar panels and wind turbines, testing the energy of each creation. Older students spent time studying ergonomics, probability and statistics, using software to record and compare one another’s height, in a course led by Graduate Instructor John Katona. 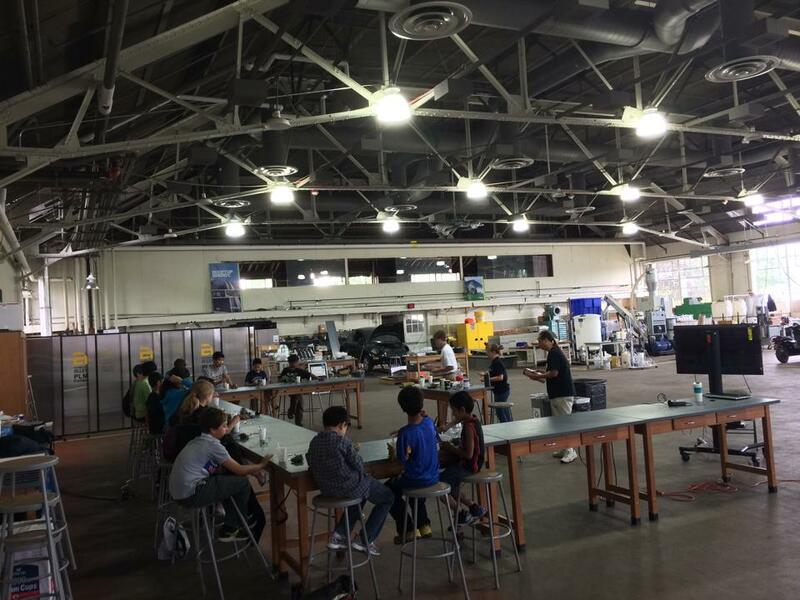 STEM camps give students the chance to learn in a fun environment. Throughout the summer, they will explore other areas of engineering, taking on projects to build robots, in addition to coordinating a light show to be played at Katona’s concert later this summer, which he said both himself and the students are excited for. Registration is still available on Oakland’s website at http://www.oakland.edu/?id=28966&sid=527.